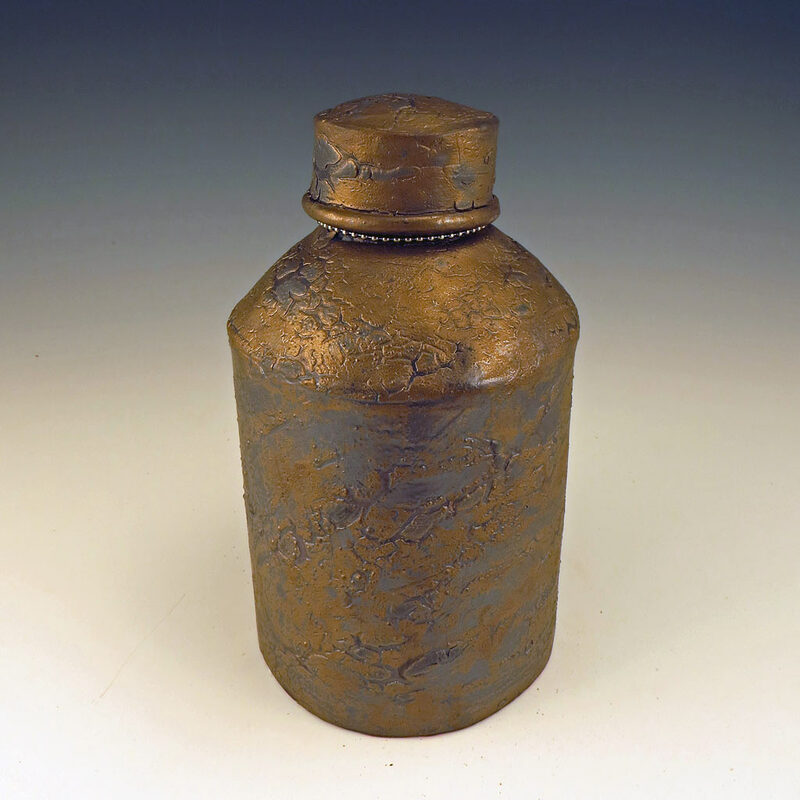 Here’s a sturdy bottle from the Apothecary Series of vessels imbued with healing properties. “TRUTH” the tag says, and this means only goodness will come from within, even if it’s imaginary. 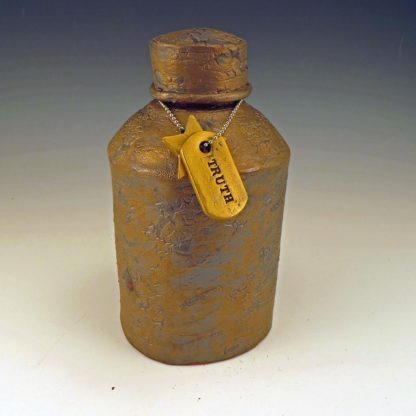 This beefy bottle of balm is hand-formed and decorated with a reticulated crawly Old Gold glaze with a foodsafe interior. The dogtag and star on a chain are burnished with gold metallic wax. The lid is easily removable. Go ahead, keep some truth serum in it and share generously! 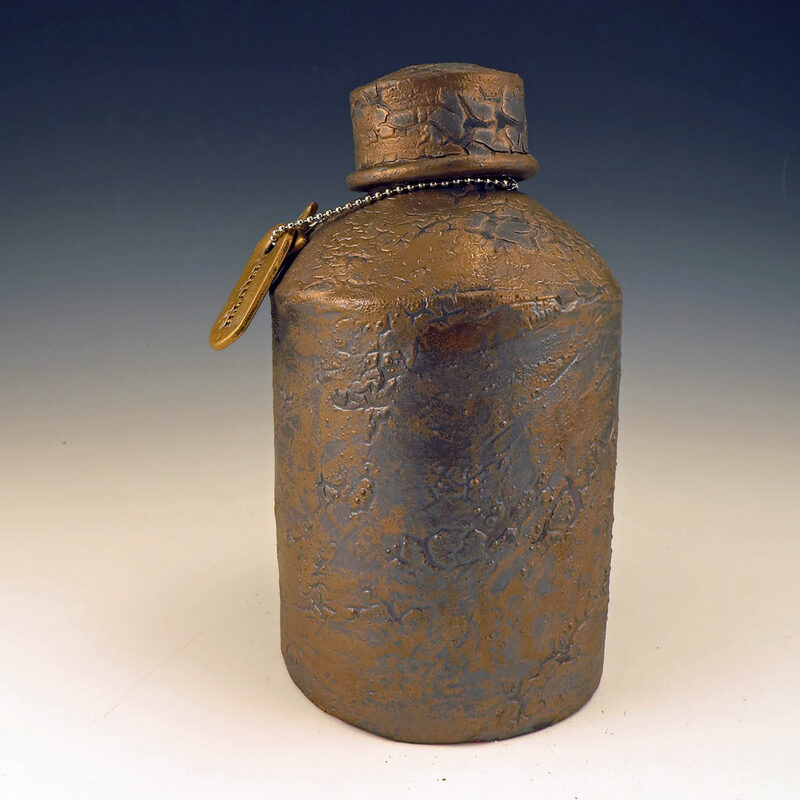 The excellent healing properties of the vessels of the Apothecary Series shine forth in this sturdy handmade bottle. Capacity: about 4+ cups, which leaves a comfortable distance to the top.